Activision claims that an angry customer "misinterpreted" a conversation he had with a customer service representative as a threat. The discussion over the connection issues that Call of Duty: Black Ops is having on the PS3 has gotten a lot more heated, after a customer service representative told a customer that Activision had the right to shut down the PSN servers. Some have taken this comment as a threat, but Activision's Dan Amrich has been quick to say that it was nothing more than a simple statement of fact, and certainly isn't an indication of the publisher's future plans. Activision's senior support representative, Dov Carson, told Canadian blogger Jason Koblovsky that shutting down the servers might be a viable solution to the connection problems. Carson made this comment in response to Kablovsky's suggestion that the problems with Black Ops could represent a violation of Canadian law, at the end of a protracted discussion with Activision, in which Koblovsky was less than shy about voicing his frustration, as well as drawing attention to the fact others were experiencing similar - or worse - problems. Koblovsky made his original complaint on December 20th. 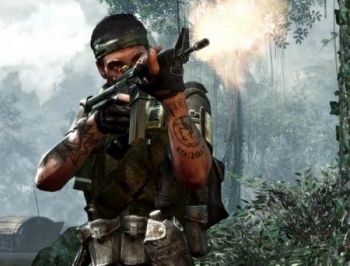 He wanted to know when the connectivity issues on the PS3 would be fixed, and what kind of testing had gone on at Treyarch with regard to Black Ops PS3 multiplayer. He said that he could provide ample proof that it was a widespread issue, and that in some cases the problems had even caused hardware failures. He also threatened to contact local consumer groups, as well as the Canadian government if he didn't get an answer by December 24th. Koblovsky decided not to wait on that final point, however, and contacted the Canadian Minister of Industry about the problem. He explained the situation, and asked that his office get in touch with Activision with a view to informing customers about the issues, or possibly even calling for a recall. After a break in communication that lasted around three weeks, Carson came back to Koblovsky. He disputed Koblovsky's suggestion that the problem was widespread, and offered some technical advice that could potentially alleviate Koblovsky's problems. Koblovsky responded, linking to a multitude of posts from the Call of Duty forums from people who were having problems and suggesting that Activision may have broken Canadian trade and advertising laws. Well I have nothing else to offer and I too follow forums and have many friends who play and enjoy the game for all of its features. As an avid gamer, I would also disagree with any legalities involving a single aspect of a game as online experience may change at any time. The publishers have the right to shut down the servers for their game at any time as well which based on the number of reported posts from users may be a viable solution over the free PSN. Koblovsky took this to mean that PS3 Black Ops players should keep their mouths shut, or risk having the multiplayer taken away completely, but Activision's Dan Amrich said that this wan't the case. In a conversation on Twitter, Amrich said that he was sorry if Koblovsky felt like he was being threatened, but that there wasn't any malice in the statement, nor was it an indication of something that Activision had planned. Amrich also assuaged the fears of others, saying that a private conversation had been misinterpreted, and then made public. For what it's worth, I don't think that Carson's statement was intended to be threatening; I think it was a rebuttal to the idea that Activision was breaking the law. Still, it seems like an odd thing to have said, and it's not hard to imagine why someone might have taken it badly.